Japanese tyre maker Yokohama announced that it has reached an agreement with the global investment firm KKR and shareholders of Alliance Tire Group (ATG) to buy 100 per cent of its shares. The Alliance Tire Group specialises in manufacturing and sale of agricultural, industrial, construction and forest machinery. Therefore, it will act as a ticket for Yokohama to enter the commercial tyre markets. The transaction value of the deal is close to $1.2 billion. The transfer of shares will take some time due to necessary closing procedures that includes regulatory approvals. Expect the acquisition to finalised on July 1, 2016. ATG has presence in 120 countries around the world and has strong market share in North American and European markets. 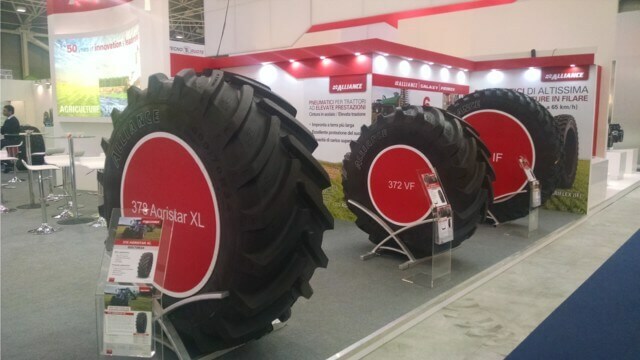 The commercial tyre business is expected to grow as the demand for agricultural equipment tyres improves due to growing use of machinery to improve agricultural efficiency. This acquisition is the result of Yokohama’s strategy to expand its commercial tyre business. The company is following its Grand Design 100 (GD100) medium-term management plan and presently it is in phase IV (2015-2017). The tyre maker is also investing heavily in development and marketing of ultra-large radial tyres for mining and construction equipment. Recently, Yokohama started production of truck and bus tyres at its new plant in Mississippi, US. ATG has 3 manufacturing facilities – 2 in India and 1 in Israel. It has reported annual sales of $529 million and operating profit of $95 million in financial year 2015-16.